Is digital printing on canvas a viable alternative for my work? 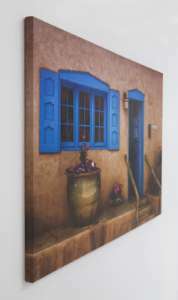 Printing on canvas is becoming more and more popular for amateur and professional photographers. 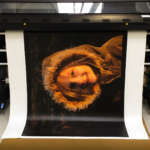 Digital Printing on Canvas is gaining popularity over photographic paper for a number of reasons. Because ArtisanHD has large format printers, you have a huge variety of different sizes from which to choose. You can have your photos enlarged or reduced to practically any size you desire. When you print digital photos on canvas, your reprints obtain a quality that is hard to surpass. Because of the natural texture of canvas, printing photos on canvas gives depth, breadth and artistry to your work. With our giclée printing process, your photos will look like fine art prints and not cheap reproductions. Once you see the results, you will feel you have purchased your own personal art collection to put in your home or office. Digital printing on canvas creates artwork that is very durable and lasts longer than photographic paper. We use high quality, scratch resistant inks that not only add to the beauty of your photograph, but also help increase the lifetime of your personalized prints. Whether you choose a matte or glossy finish, our printing process brings out the best colors imaginable. We also print photos on canvas in high definition! Even when enlarged to fit a very large wall area, there is no reduction in quality. Unlike other companies that use cheap quality canvas, inferior printers and uncured inks. Keep it for yourself, or give a personalized canvas of your work as a unique and special gift.